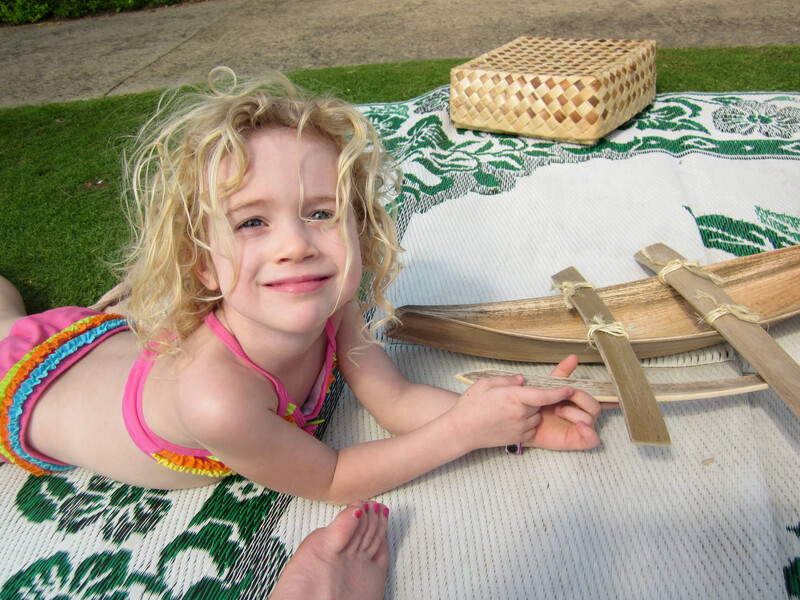 We returned from Kauai on Sunday evening well-rested, sun-kissed and happy. It was a much-needed, relaxing, utterly beautiful and fabulous vacation. We’ve been fortunate enough to have taken many vacations over the course of our marriage, and even quite a few since the kids have been born, but I honestly don’t remember another time I came home this peaceful and relaxed. I didn’t even have my post-vacation “it’s over” sadness, just utter contentment. 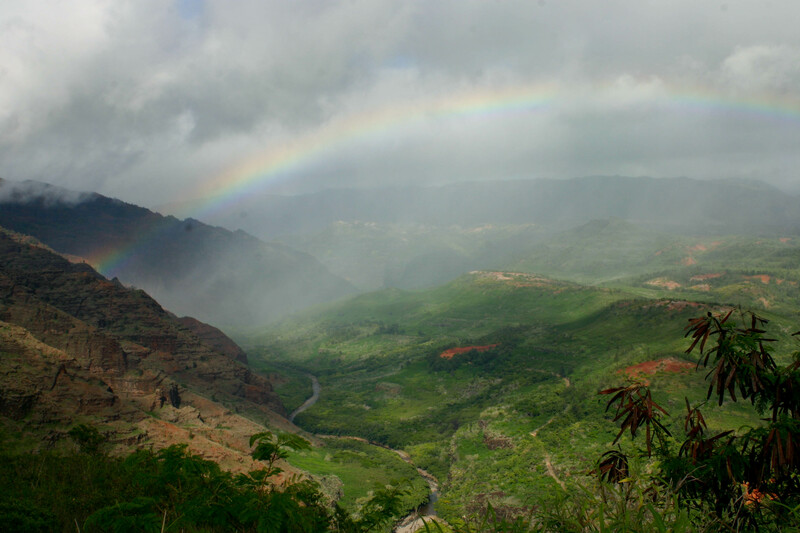 I suppose someplace as beautiful and magical as Kauai can do that to you. Mr. N and Miss A even fully immersed themselves in the relaxation of this trip. With the exception of a few minor meltdowns from Miss A (which frankly were nothing in the grand-scheme of things – pretty remarkable for a three-year old) and a few initial protests about an activity from Mr. N, both of the kids were absolutely in-tune with each other, us and the vacation. Our little sand kids building a fort. Mr. N, who only six months ago didn’t know how to swim, absolutely became one with the water. I have never seen him so happy to do any one thing for hours on end – and believe me he can spend a lot of time with his Lego’s. 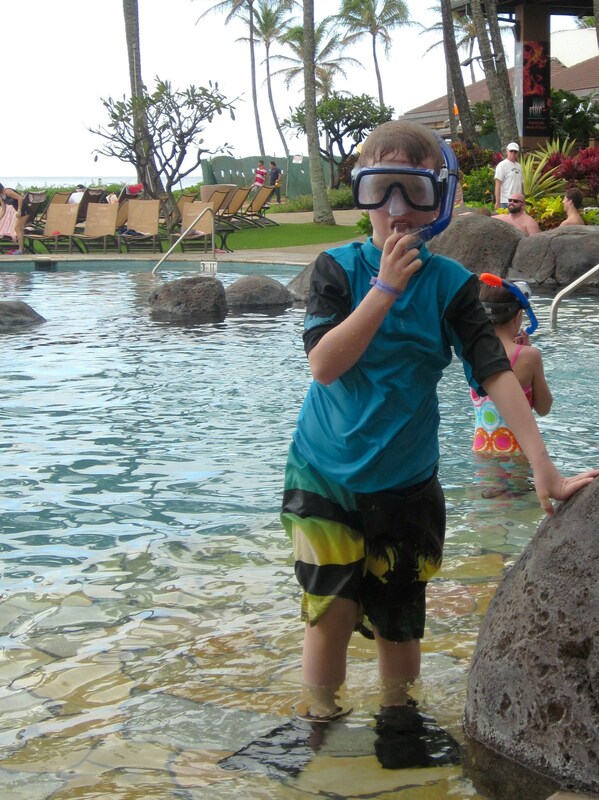 Each day of our trip he spent at least a few hours in the pool swimming all around, playing “sea serpent” with Miss A and even learning to snorkel. It’s hard to walk in these things! Miss A on the other hand was much more content to hang in the sand or operate from her “control room” poolside. She was the police captain telling Mr. N where to swim in order to save the animals that needed saving. Mr. N always knows how to make his sister REALLY laugh. Mom! Look at this one! and just discovering the sensation of waves on their toes. I’m not so sure about this ocean thing. Eventually they got a little braver, well Mr. N got a whole lot braver, and ventured a bit closer to the water. In fact, one perfect afternoon, Mr. N spent literally two hours body surfing. He’d run out into the water, wait for a wave and either swim with it or just let it carry him to shore. I don’t know if I’ve ever seen him happier than he was this afternoon. And as I lay in the sand watching my little boy utterly loving his life – splashing, laughing and rolling with the waves, I also had the absolute blessing of enjoying just over an hour of Miss A tucked in next to me with her head on my chest fast asleep. I don’t know what could possibly have been better than these few hours that lazy Friday afternoon. 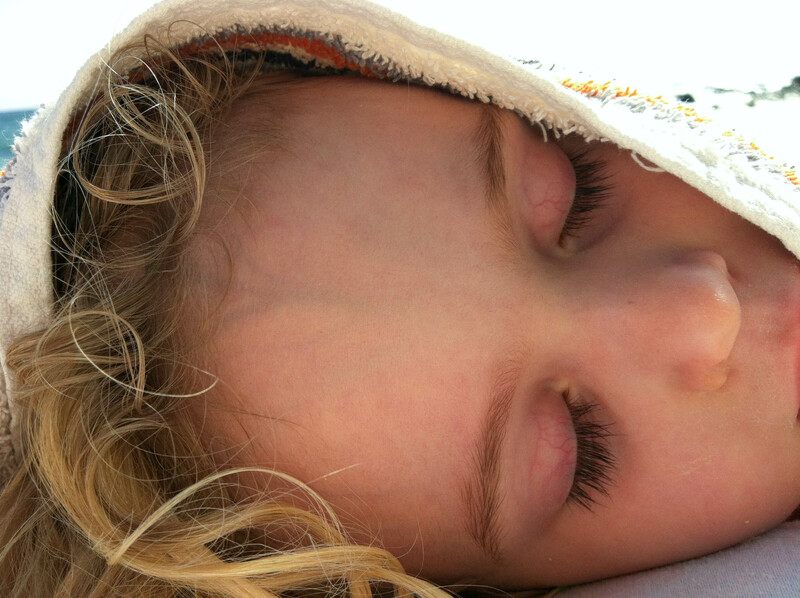 Now this is the way to spend a Friday afternoon – napping in the sand. We did venture away from the water and sunny shores every now and then for some other fun adventures. I spent a morning zip lining and repelling my way over waterfalls in the mountains of Kauai. Now this is not something I normally would even think about trying given my fear of heights, but it was one of those trips where I needed to do something out of my comfort zone. And let me tell you, I couldn’t be happier that I did! By the end of the tour I was even whizzing around upside down! The adrenaline rush lasted for days! I think I’m too big for this boat. Painted wings and giants rings make way for other toys. This one’s for Greg and Katherine. A star is born. Swing those poi balls Miss A! Anyone see the pot of gold? and watching the sun set into the ocean. to roadside hot dog and shrimp stands. 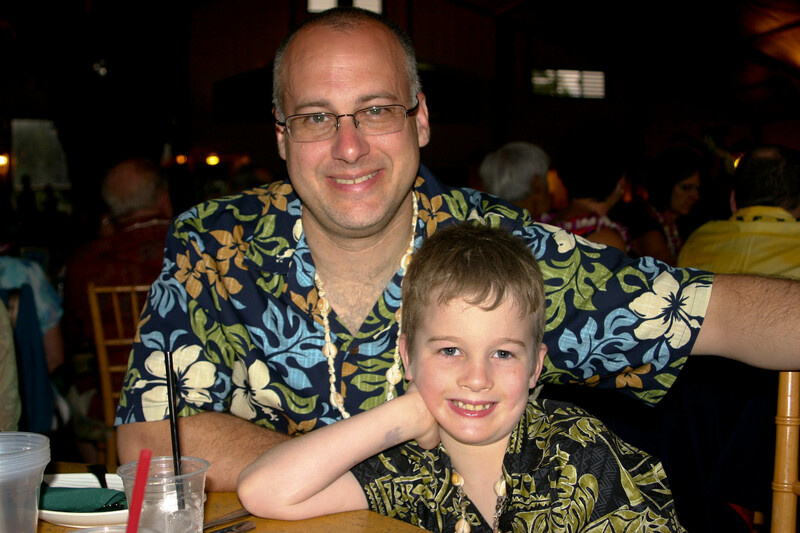 Rockin’ the Hawaiian shirts boys! And of course we’ll be sharing many of these recipes with you over the next few weeks. Until then, Hawaii was actually one of our very first state night picks last year, so you can enjoy this post which includes a delicious virgin lava flow. The kids could have lived off of these delights! Now before we set about on our next cooking adventure we have a few things to wrap-up…First up, the winner of our blogiversary giveaway (set of travel plates and a photo book of year one at Eat, Play, Love) as drawn by Miss A. Congratulations to ChgoJohn from the Bartolini Kitchens!!!! Many thanks again to all of our followers, commenters, visitors, friends and family. You’ve made our adventures this past year truly amazing. We’re very humbled and grateful. Also, before we launch off to our next international meal destination as chosen by Mike, we’re going to round-out this week with our banana bread taste test and reveal the first recipe of this year’s “Quest for the Best.” We hope you’ll enjoy it – we know we already do! Mahalo and a hui hou (thanks and till we meet again). 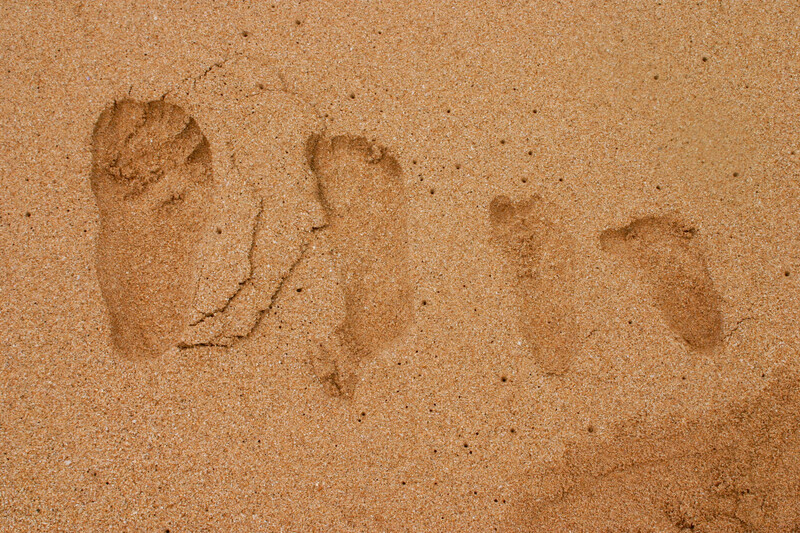 The footprints may not last forever, but our memories sure will. These are the cutest pictures… love the sleeping one! Hawaii Envy! Thank you! We already miss it. 🙂 Thanks for stopping by! Wow! What a holiday!! Thanks for sharing your photos (stunning) and words with us. 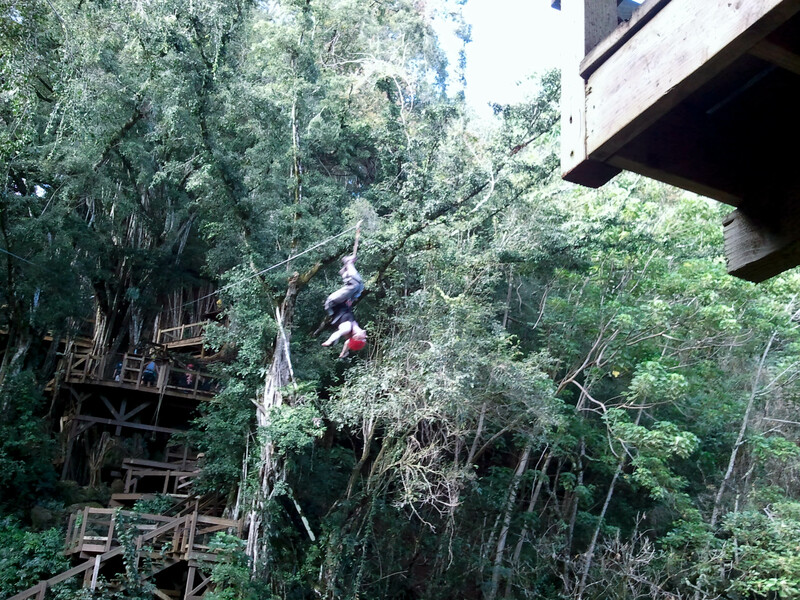 Frankly just the picture of zip lining is giving me an adrenaline rush at 6.50am…..!! I have a crazy fear of heights that hasn’t gone away no matter how many high rise buildings I walk in to/live in/work in, they make my knees wobble and my tummy flip like excited pancakes 😦 I think it is great that you went for it! Just look at you guys. You all looked like you had so much fun and dare I say it.. you all look RESTED! lol. I love that look of rest when I visit my family’s home in Florida. But Hawaii has nothing on Florida lol. And Miss A looks wonderful in red. And of course she gets her fashion sense from her mom ;). I am so happy you guys had a great trip. To many more for you..
Hi Kay! We definitely were rested. It was such a wonderful week. Going in I wasn’t sure if I’d be able to completely relax, but it didn’t take long at all! 😉 And here’s to many great trips in your future too! It sounds – and looks! – like it was a wonderful vacation. I hope to go Hawaii someday soon! Great photos Kristy, it looks like you really had an amazing time with the kids. The zip lining looks amazing too, and would be totally out of my comfort zone…perhaps one day I’ll get to Hawaii and try it. Lucky John to win your anniversary give away. It looks like you guys had a great time! I am so jealous!! 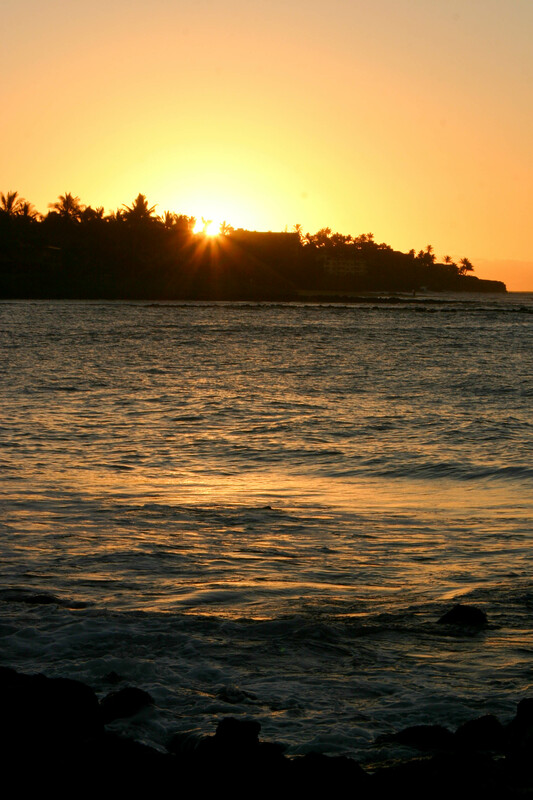 It makes me want to get back to Hawaii so bad! I am so glad you had such a great time. We’ll have to get together soon so I can hear more about it! Kristy, what wonderful memories you’ve made on this trip and I thank you so much for sharing this with us. 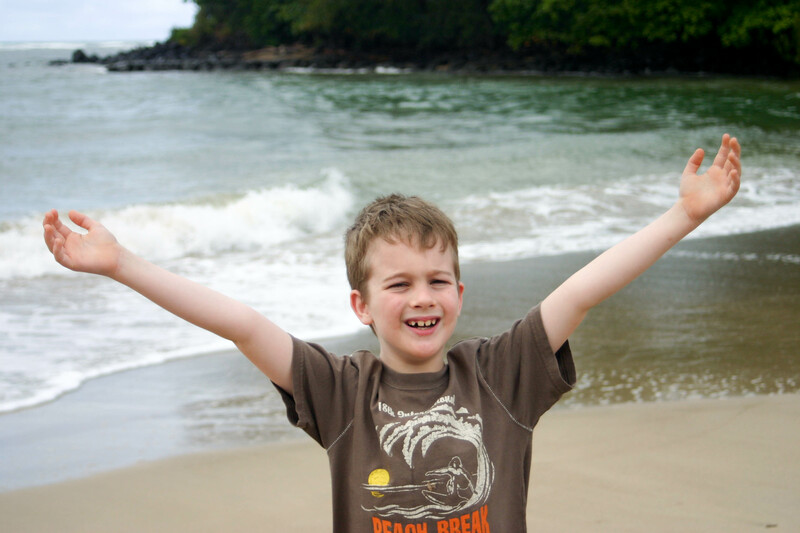 I think its wonderful you bring along your kids as I see too many couples preferring their own vacation, sans kids. It may have its ups and downs but overall, you’re building a strong family and memories for a lifetime. Your photos brought such a warm feeling and happy smile to me! Congrats to John, Miss A picked a well deserved winning heart! I can’t wait to see future food posts from your trip. Thanks Linda! 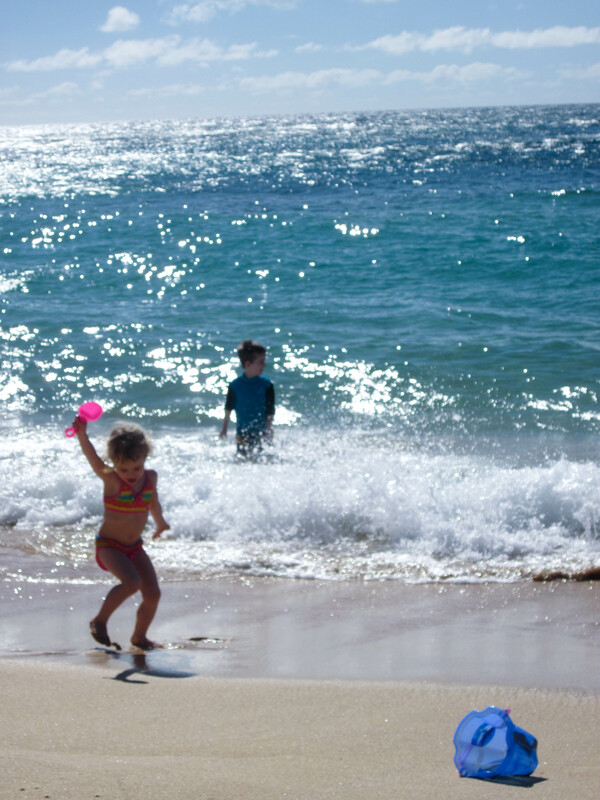 I can’t imagine traveling without the kids (well, maybe an occasional weekend getaway). They are such great travelers and it’s so much fun to see the world through their eyes. I’m happy to have made you smile today. I feel the same way when I look at these pictures. You know both of the kids actually cried the first night back in their own rooms. They wanted to be all together again and wanted to go back to Hawaii! 🙂 Bittersweet. 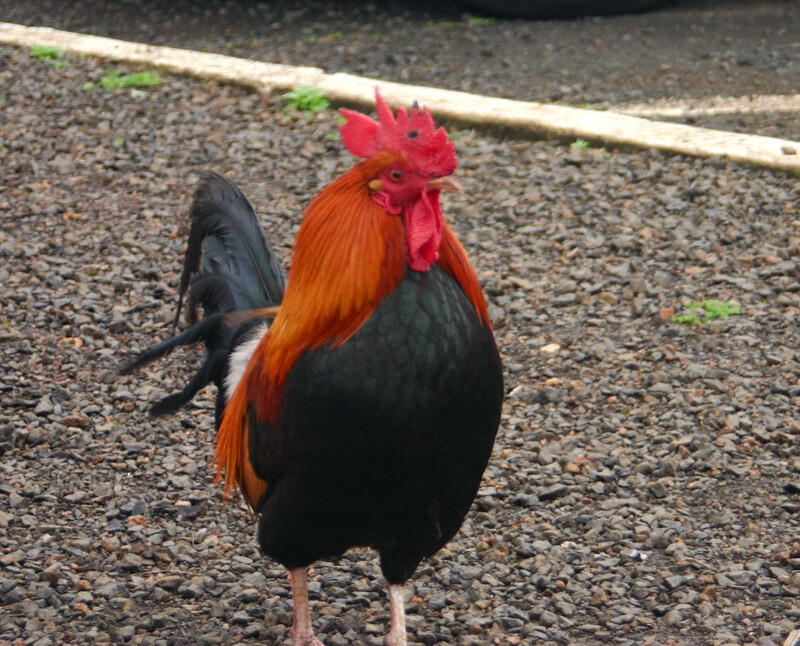 That rooster looks just like the one that nipped Todd on our honeymoon in (on?) Kauai! Glad you had such a good time! 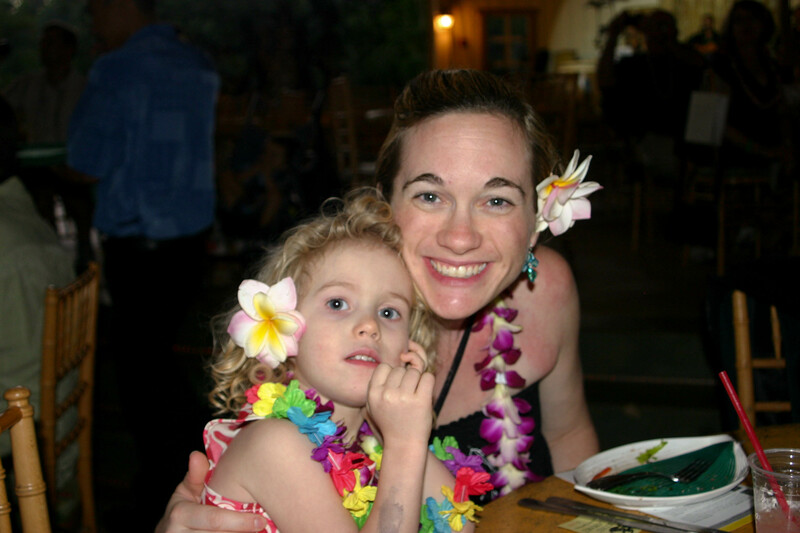 Kate recently started asking to go back to Hawaii, but I’m still not sure the time change is such a good idea. Could have been! We had no idea they were everywhere!!! And it must be a right of passage into the family clan…I was nipped by a wild dog on ours! LOL. As for the time change – after the first day it wasn’t so bad, and on this end it’s been great! Both kids are still sleeping in – although I’m sure that won’t last. In fact, I have no doubt Mr. N will be up at 6 on Saturday. Ha! What a beautiful post Kristy. Sounds like you and family had the trip of a lifetime. And how nice to return home feeling rested and refreshed. 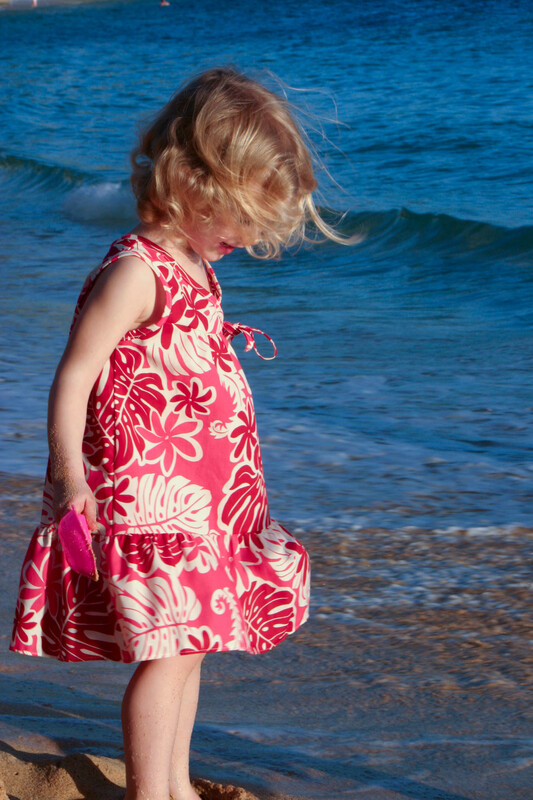 Thank you for sharing all these photos and moments… the footprints in the sand are precious. Lava flow… love the name – sounds very intriguing… I’ll be checking it out for sure. Meanwhile, Miss A in her Valentine’s day red dress with that face…. 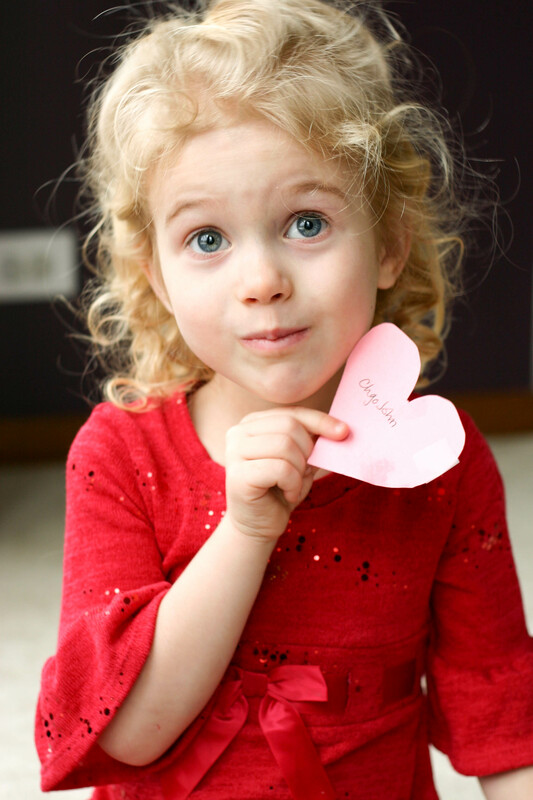 beyond adorable…(I definitely need a hair lesson from her) ;). Congratulations ChgoJohn – well deserved I’m sure! Kristy and co – glad you’re safely back, and what a wonderful trip it looks like you had. Thank you so much for sharing some of your memories with us. I’m still outraged (read: insanely jealous) that this was a form of “work” for Mike. Your photos are beautiful – the rainbow photo, and the first sunset picture, you’ve perfectly captured the magical beauty of the place. I’m not familiar with Hawaii, but I sure want to go there now, thanks to you! LOL. No kidding right! If only my job could take me to exotic places…until then, I’m just going to have to go along for the ride whenever possible. I did feel a bit bad for Mike as he spent two solid days inside meeting rooms while we were out enjoying the surf and sand…still, I’d rather work from a meeting room there than here. 😉 And thanks for the welcome home…it is good to be back (although I’m starting to miss seeing the sun again – lol). Thanks for sharing your photos, it looks like I went to vacation too. I am jealous of all the sun you got, it may be summer here in our place but its always raining. Welcome home! What a wonderful trip for you and your family! The photos and your commentary were fantastic! The tourism board of Hawaii should put this post in a brochure advocating that families vacation in their lovely state. I’m glad that you were all able to travel together and that it went so well. YAY! And Yay! for winning the travel plates & photo book. There I was, imagining the roar of the surf, the warm breezes, palms swaying, and then boom, I won! Thank you so much. I cannot wait to see them but, first, get yourselves settled back into your routine and then we can arrange the delivery. And, again, welcome home! Thank you so much for sharing the pictures and the memories with us Kristy. It looks magical! I can’t wait for all the recipes and more pictures and adventures. 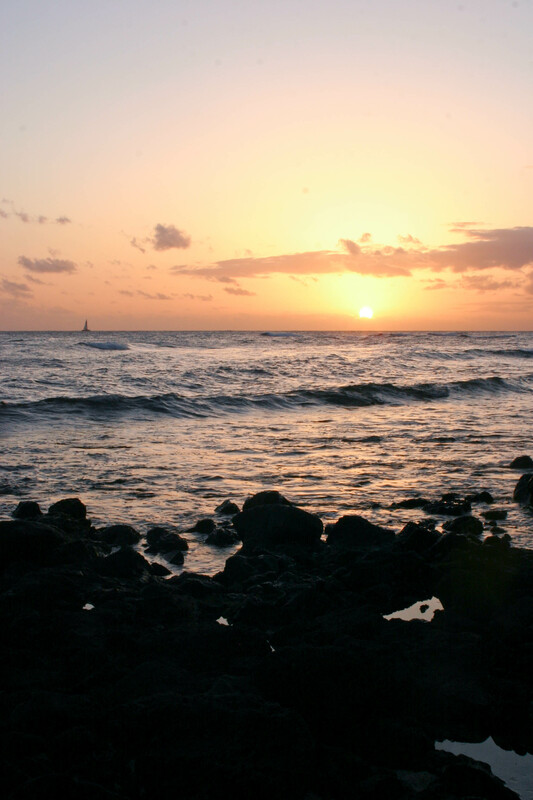 What a wonderful trip – such great pictures…I miss Hawaii!!! 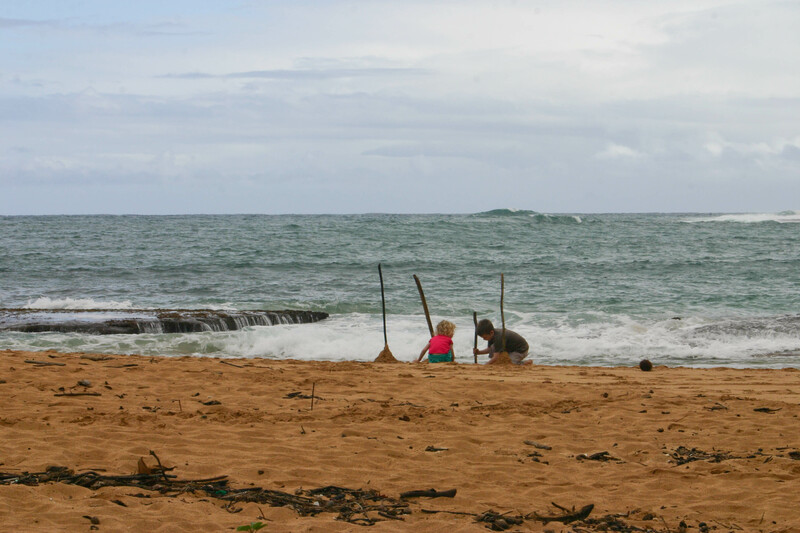 Your time in Kauai seems so magical:) We were there one year with our kids. There was a pond that had sea life so the kids could paddle to their hearts content. 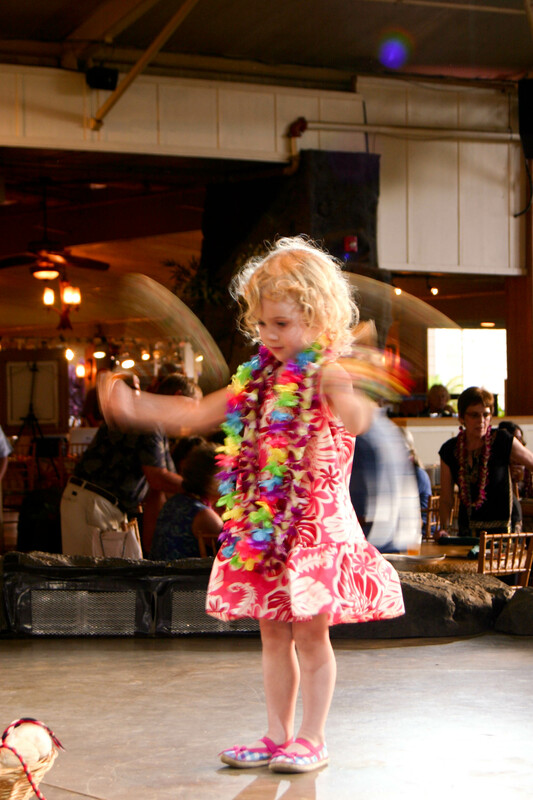 Hawaii sure knows how to make a family friendly holiday… And, it’s so true.. all they need is sand and water and extra naps:) Those lava flows look delicious… and congratulations to John for winning an awesome prize:) Love all your photos.. but especially the one of Miss A sleeping with you! I say go for it! Start ’em early. It’s certainly got trying moments, but overall it’s totally worth it. My only advice…don’t take road trips longer than 2 weeks with a three-year old. Just sayin’. Oye. Love the coconut palm boats — what unique souvenirs for your family! I’d like a virgin lava flow right now!!!! Looks like you had a wonderful family vacation….I’m so pleased for you. I’ve spent the evening researching a getaway for us in March. Right now it’s between Jamaica and Cancun! Hi Barb, I think I would rethink Cancun…Mexico is not a good place to travel right now. I’ve been to Jamaica and you basically have to stay on the resort or explore with tours, it is also unsafe to go on your own. Such a beautiful post, I loved reading your experience! Wish I could have a relaxing vacation, too… Thank you for sharing the pics, too.. looking forward to the recipes. Congratulations to the lucky winner (ChgoJohn ) and to you and your family on being able to enjoy such a paradise for your holiday. The last/only time I was at the seaside, we collected a lot of shells and then took them home to my friends’ house and embedded the shells into concrete stepping stones that they put into their garden. It was a wonderful souvenir of a lovely sunny day and a blissful holiday. 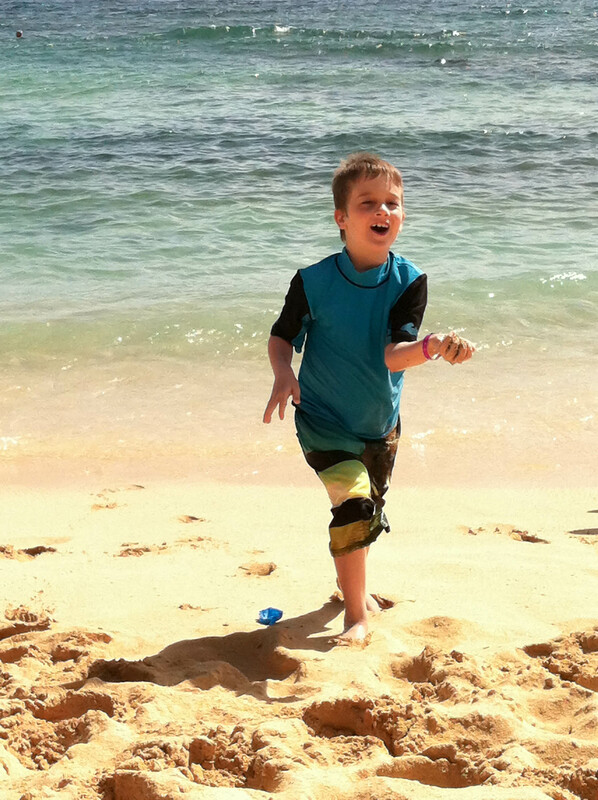 Thanks so much for sharing your photo’s from your beautiful family trip to Hawaii! Mr. N and Ms. A look like they had so much fun and congrats to Mr. N on becoming a better swimmer. On congrats to you for overcoming your fear of heights, I’ve always wanted to do that. 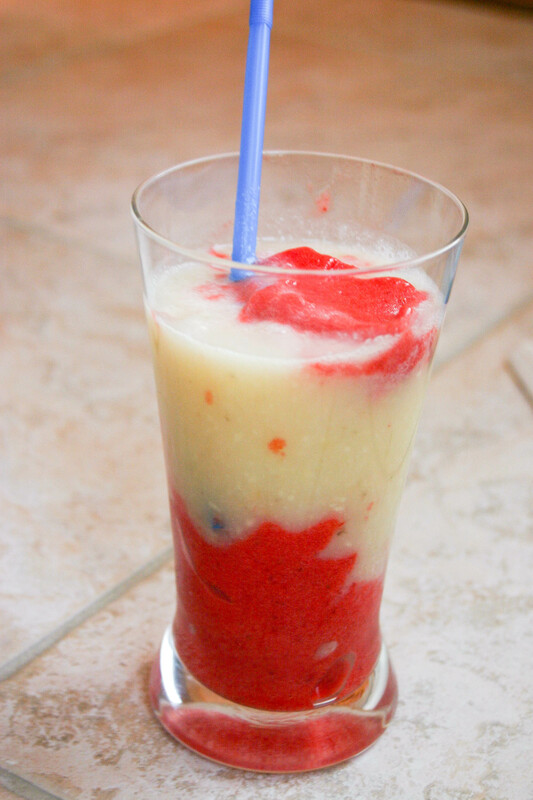 The lava flow drink looks tastey and so colorful! Look forward to your posts, so exciting! If you ever have the chance Lisa – go for it! Zip lining was incredible – fear of heights and all. 🙂 And as for the lava flow, I have to say, I actually prefer the non-alcoholic variety for that one. The coconut and strawberry are just so good on their own.